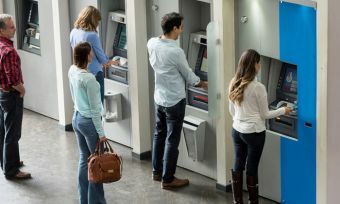 The way people use everyday banking services varies depending on the individual, how can customers ensure they choose a transaction account that best suits their needs? Talk to us! We help our customers consider how they like to access their money and what features and services are important to them so we can make sure they have the right account. Our leading transaction account suits the majority of our customers’ needs because more and more customers are choosing to go cashless or bank online. 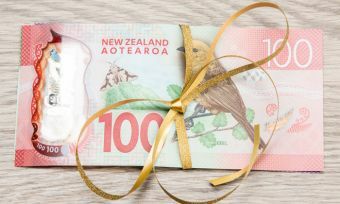 With Kiwis increasingly going “cashless” in favour of card payments, what advice does Westpac have to help customers keep track of their money and spending? We have CashNav, which is an app that is helping Westpac customers track their spending to help them get ahead. It lets them know the areas where they’re spending the most; for example, it could be on eating out or on travel, so they’re able to review where their money is going. Our customers can sign up to text/email alerts to help them manage their money and avoid unnecessary fees. We also have other money-management features such as salary-splitter which allows our customers to put their salary into as many as six different accounts to help them manage their money more easily. And for those that like to use cash we have more than 600 ATMs throughout the country. Managing various bills and expenses can be time-consuming, what tools/services does Westpac have to help customers manage paying these expenses (and save some time)? Our Westpac One app allows our customers access to online banking when and where it suits them – from any device, anywhere, anytime. So, if customers are out shopping and need to check their budget or balance, they can click on the app and get that information easily and fast. They can also transfer money between their accounts without having to log in, temporarily block a missing credit card and so much more using the Westpac One app, and we’re continuing to add further functionally. And of course, our customers can set up the standard Automatic Payments and Direct Debits to save them time. They can also opt in to text alerts for upcoming payments over an amount they set. When it comes to choosing a credit card, what advice does Westpac have for ensuring customers get the best-value and most suitable option? Westpac offers a wide range of credit cards tailored to suit different customer needs; from a low interest rate option to rewards credit cards for those who are looking to get a little extra. We work with the customer to understand how they plan to use their credit card – are they looking to make a big-ticket purchase and pay it off over a period of time at a low interest rate? Or are they looking to use their card for their everyday purchases paying the balance off in full each month while enjoying the benefits of rewards? It comes down to our customer needs and what card would best meet those needs. We aim to make sure our customers have the right product to make banking easier and more efficient for them. 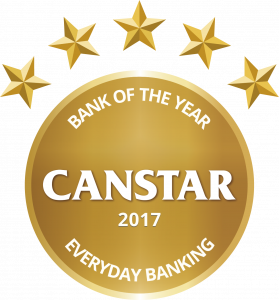 “Westpac has once again taken out the Bank of the Year – Everyday Banking Award, due predominantly to their product offering,” Canstar New Zealand general manager Jose George says. Westpac is the clear market-leader in transaction accounts and also offers a competitive suite of credit cards, Mr George says. 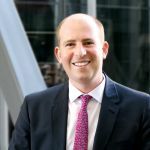 “Westpac’s product offering is supported by an extensive ATM and branch network, and their online banking platform consistently performs in the online banking award,” he says.